Yes, they have the meats. You know his distinctive baritone voice, especially if you’re a fan of animated super-spy Sterling Archer or the can of mixed vegetables in Wet Hot American Summer, but rarely do you see H. Jon Benjamin in the flesh, outside of late-night TV chat shows or his recent stint on Master of None. But the beloved actor-comedian (Archer, Bob’s Burgers, Family Guy, Aqua Teen Hunger Force) has a new gig—and a senior management title to go with it—as a spokesperson for Arby’s. He’s donned chef’s garb and become “Head of Sandwiches” to stress that the fast-food chain offers more than its signature roast beef these days. Consumers can be forgiven for not knowing about the breadth of Arby’s menu, he says. In fact, they could be thrown off by the iconic 60-foot hat-shaped signs that declare: “Arby’s Roast Beef Sandwich is Delicious.” Could this be a case of successful marketing actually working against a brand? He leaves the question unanswered, but his meaning is clear. 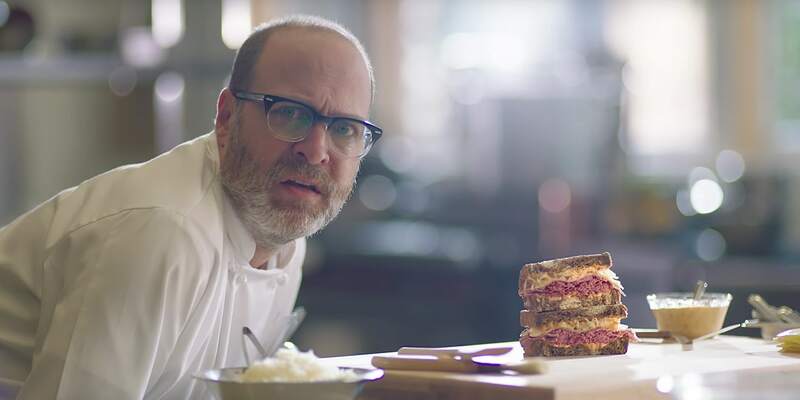 Since self-deprecation is part of the Arby’s playbook, these new commercials continue the theme, with Benjamin bringing a light touch to the restaurant’s referential advertising (and is a departure from his usual sardonic humor). The new campaign, under the long-running “We Have the Meats” tagline slightly altered to, “We Have the Meats … For Sandwiches,” launches Sunday with two 30-second spots.